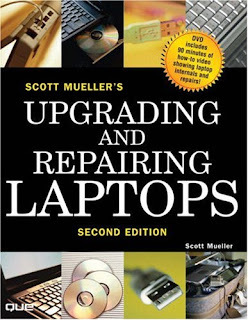 Welcome to Upgrading and Repairing Laptops, the only book of its kind on the market! Laptop computers are the largest growing part of the computer industry, with sales that continue to outpace desktop systems. For those in the industry, there has never been a better reason to get into upgrading and repairing laptops, because not only are they selling better than ever, but their higher prices allow you to charge more for services rendered. But aren't laptops proprietary, which means they cannot easily be upgraded or repaired? Many people are familiar with the fact that desktop PCs normally use industry-standard components, which allow cost-effective upgrades and repairs to be performed. In fact, this philosophy is the basis for my best-selling book Upgrading and Repairing PCs, currently available in a 16th edition, with the 17th edition currently in the works. However, what many people don't know is that laptop and notebook computers have evolved from being mostly proprietary to using larger and larger numbers of industry-standard components. This means, in plain English, that laptop and notebook computers are more upgradeable and repairable than ever before. Being a long-time user of portable computers myself, I thought the time was finally right to explore this subject in more depth, resulting in this book.In this book, you will learn about all the components that make up a modern laptop or notebook computer, which components are based on industry standards and which are proprietary, and which components can easily be upgraded or replaced. As most of you know, laptops are more expensive than desktops, so whereas desktop computers are becoming more and more of a commodity, laptops are still somewhat exclusive. They are more difficult to work on, and the components are smaller and more expensive. All of this contributes to upgrades and repairs that are more expensive overall. You can look at this book two ways: From the perspective of a laptop user, knowing how to upgrade and repair your own system can save you a bundle of money! Using the information in this book, you can effectively troubleshoot a problem; isolate the defective component; obtain a replacement; and finally perform the physical interchange of parts, the actual upgrade, or repair. This capability is useful not only for older systems, where the cost of service might exceed the value of the system, but also with newer laptops, which can be easily upgraded with newer technology such as wireless networking, faster USB or FireWire ports, more memory, larger hard disks, and even faster processors. From the perspective of a computer technician or support person working in the industry, knowing how to upgrade and repair laptop computers gives you a significant edge over others in the industry who are afraid to open laptop systems. They can be daunting. Many of the laptops on the market today are held together by upwards of 100 screws, often consisting of several different types! They also often include many intricately assembled plastic parts that can easily break or be damaged if you don't take them apart properly. The benefit is that as a repair technician, you can charge more for laptop service and repair, which gives you another edge over other technicians who can work only on commodity-level desktop systems.